In works such as Tighten Your Belt, The Not So Little Engine, and Hypergrass, I explore the social ideas behind the expanse just beyond suburbia, where the American Dream intersects with reality. The tension between nature and societal innovation is at the core of this narrative, offering an irony inflected dystopian vision of the suburban fantasy. 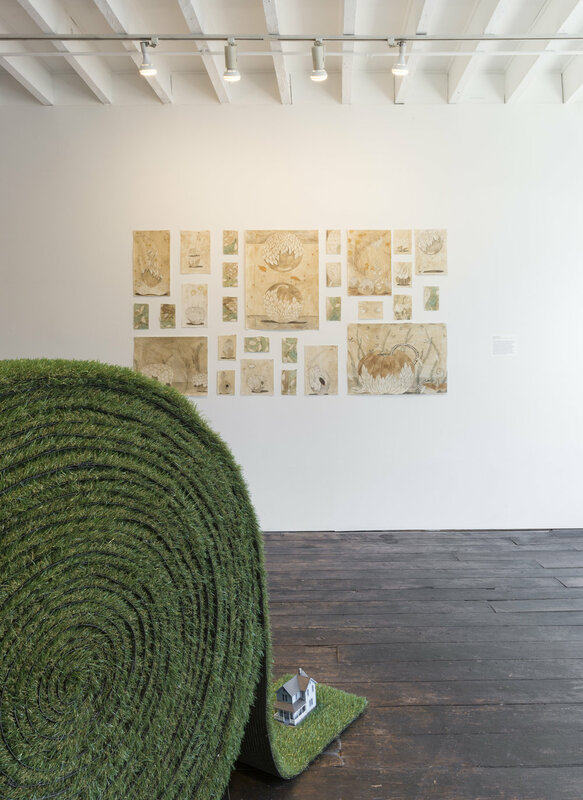 Hypergrass series of artificial grass collages (or paintings) were visually inspired by patterns of freshly mowed grass, crops growing in a field, and ripples after throwing pebbles into a still pond. These spirals of varying dimension explorethe relationship between consumption, desire, and nature, specifically addressing our drive to create a version of nature with which we are comfortable—one that is contained and controlled. 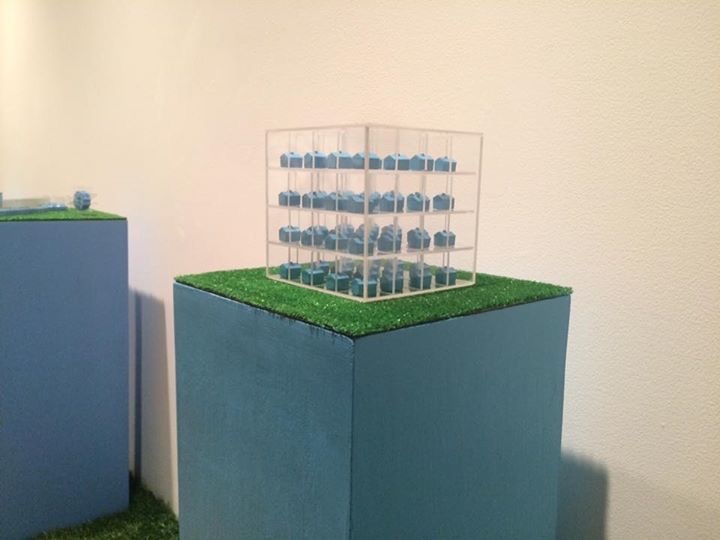 This solo exhibition of Exurban is sponsored by Sculpture Month Houston. 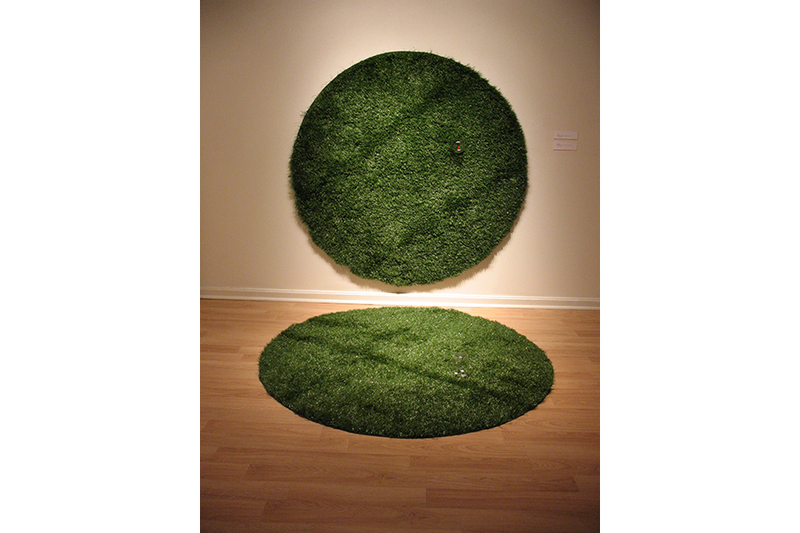 In sculptural series such as Turf Rolls, Pre-Fab(ulous), and The Not So Little Engine within this ongoing, multi-year project of Exurban, I consider the intangibility and responsibility of hyperobjects as I explore the tension between nature and societal innovation. Inspired by mise en abyme, I combine sizes and proportions to physically invoke a meta-narrative where one is both inside and outside, both subject and object, and both in control and being controlled. These comparisons of perception address a drive to create a version of nature and of society with which we are comfortable — one that is contained and controlled. 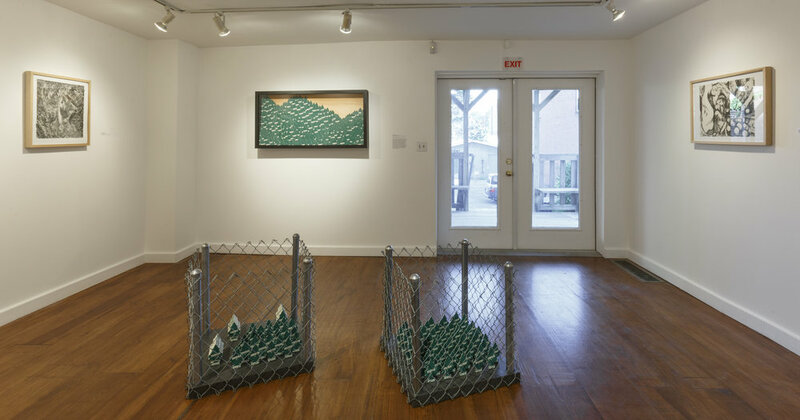 Titled Sugar Coated, this solo exhibition at Texas A&M Commerce featured artworks from Pre-fab(ulous) as well as works from Exurban and Naturall. It has been an honor to work with Chris Blackhurst, the University Exhibitions Coordinator at TAMUC in Commerce, Texas. Thank you to Karen Gillenwater for curating and including my artwork in Project 18: Naturall. I look forward to this four-person exhibition with Ezra Kellerman, Claire Pope, and Rachel Singel this summer at Zephyr Gallery in Louisville, Kentucky. 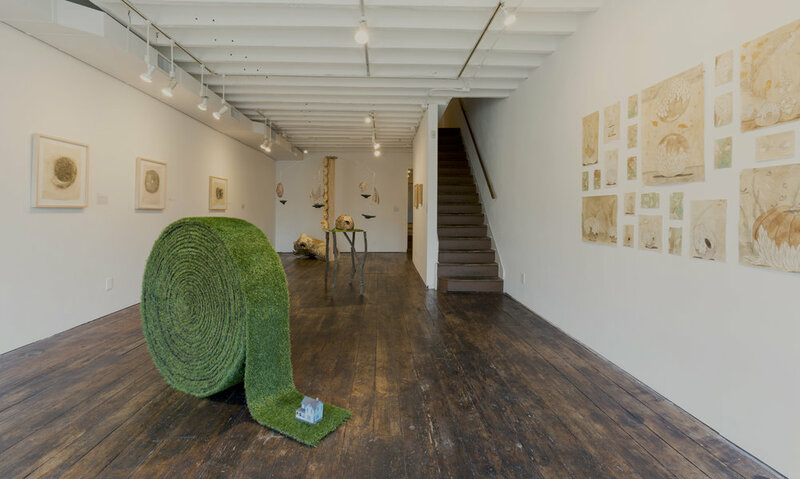 Zephyr Gallery is a multidisciplinary exhibition space located in the East Market Street Business District of downtown Louisville, Kentucky. 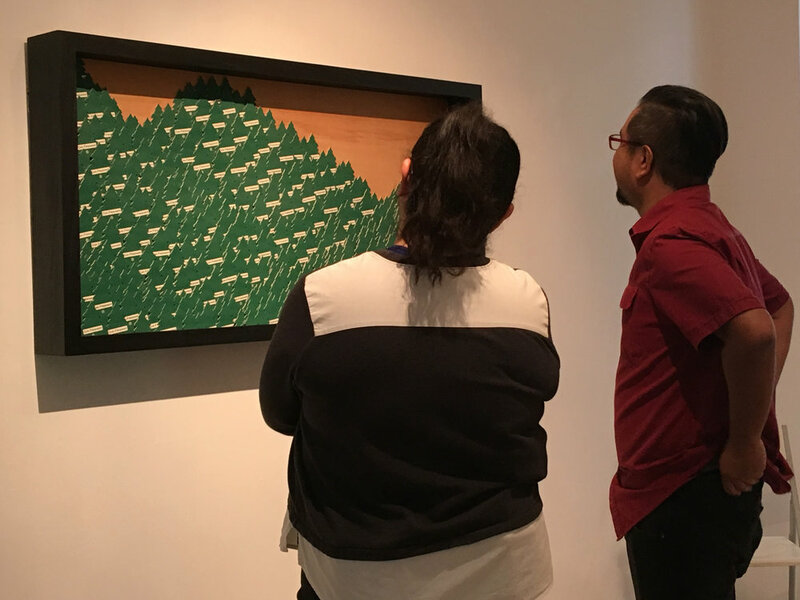 The mission of Zephyr Gallery is to serve as a platform to incubate, advocate, and facilitate innovative ideas in art and artistic practices in the region. In 2014, Zephyr launched an ongoing Project series with curated proposal-based exhibitions as well as collaborations with universities, colleges, and cultural institutions. 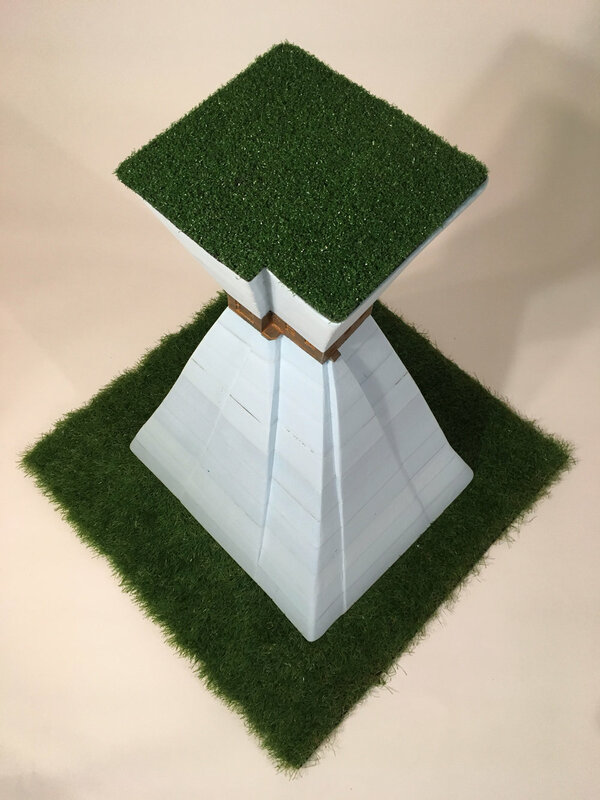 Examining suburban development, land use and consumerism, my series of sculptures utilized diminutive suburban icons such as Monopoly hotels and Little Tree air fresheners to investigate the accumulation of small choices. 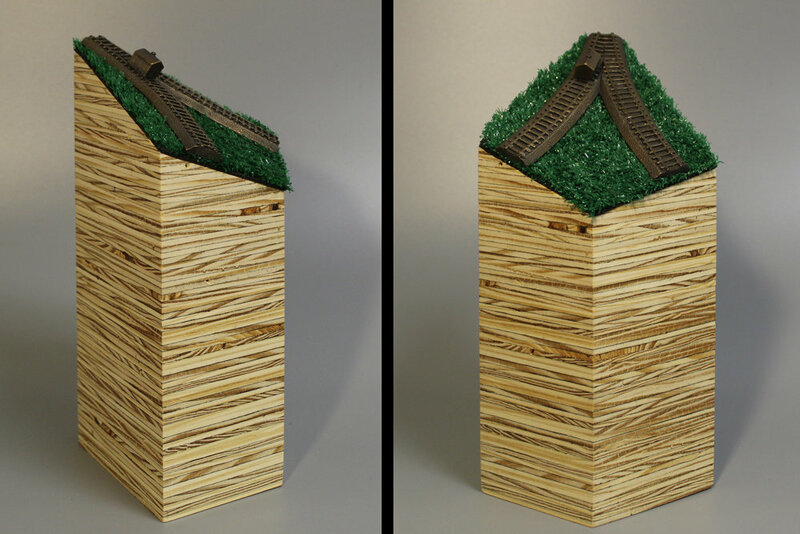 The above images are selected elements from a two-person exhibition with Jason Brown titled Exurban. 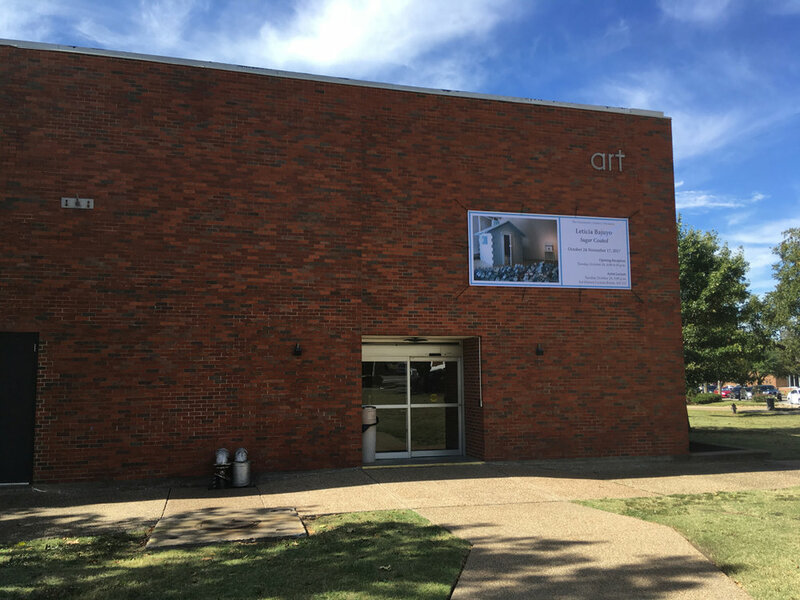 The first exhibition of Exurban was installed at the Groundfloor Gallery, Nashville, Tennessee in December 2015 - January 2016. Within my explorations of value allotment, I consider how what is manufactured, advertised, bought, and collected continually communicates social ideals, and how what is or is not kept, maintained, or selected communicates collective and individual views on growth, aging, and fickleness. My Little Tree air-freshener artworks began when I noticed at least twenty air-fresheners hanging from the rear-view mirror in a car next to me at a stoplight. Since witnessing this choice to not replace the prior air-freshener(s), I have thought a great deal about this person and concepts of covering up, avoidance, pretend nature, desire for sweetness, and visual metaphors the grass being greener elsewhere. 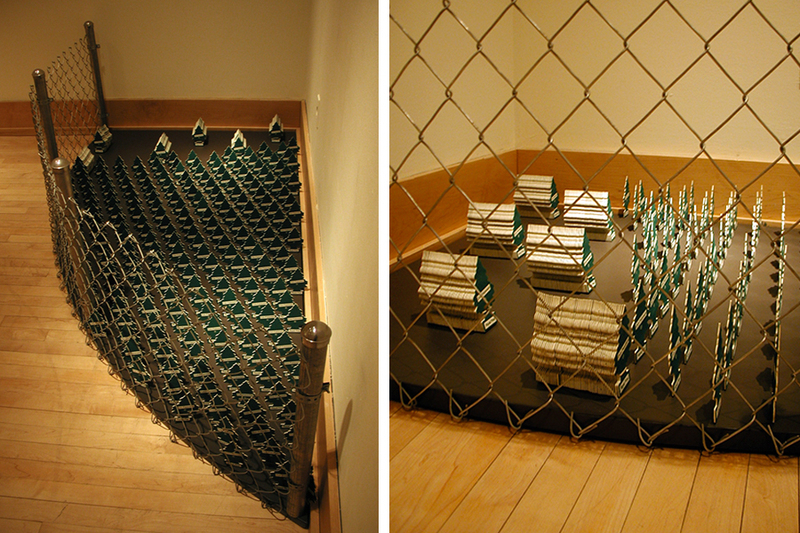 This solo exhibition featured this series of steel frames with green resin roofs. There is a word on each of the eight seats. The combined text reads: "note: perception is dependent on the relationships present." 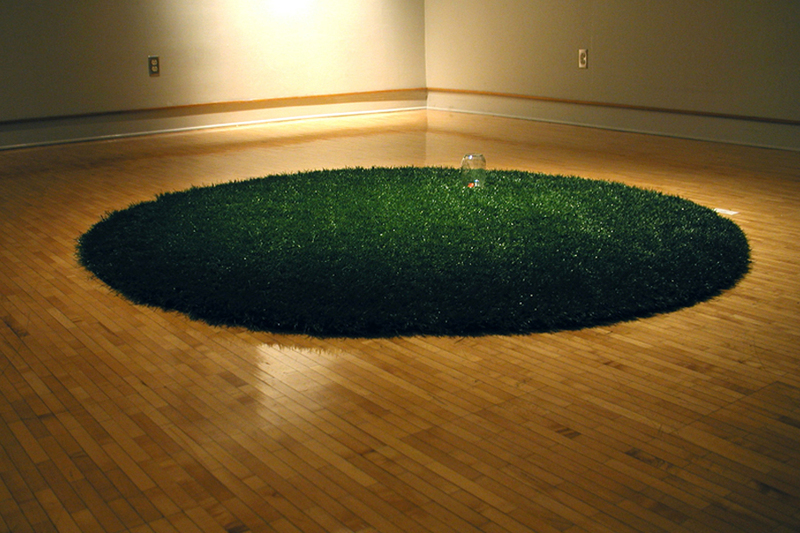 Solo exhibition featuring an installation of unscented Little Tree air fresheners, poker chips, artificial grass, clay, wood, metal, and paint.